Cork City is the main urban center in County Cork. Indeed, it is the second largest city in the Republic of Ireland after Dublin. (Belfast is not in the Republic). The city traces its history to a monastic settlement founded by St. Fin Barre in the seventh century. It latter became an important Viking trading post and in the Middle Ages it was an English stronghold surrounded by hostile Irish. Cork is often referred to as the "Rebel City," a name that goes back to 1491 when city leaders supported the losing side in a rebellion against the English king. More recently, in the Irish War of Independence, this rebel spirit again emerged and the center of the city was burnt by the paramilitary Black and Tans in an effort to suppress the independence movement. Subsequently, in the Irish Civil War, the city was held by forces opposed the treaty with Great Britain creating the Irish Free State. (They wanted complete independence). However, they were defeated after the Irish Army made a seaborne landing. This rebel spirit is still alive in Cork today. Residents refer to the city as the "real capital" and there is a rivalry between Cork and Dublin. Although Cork is often listed as the port of call on cruise ship itineraries, Cork City is not usually focus of most visitors' attention. 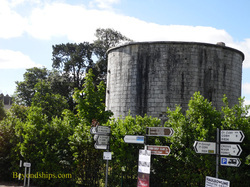 Rather, attractions such as Blarney Castle and the Jameson Distillery in the area surrounding the city tend to be more popular. 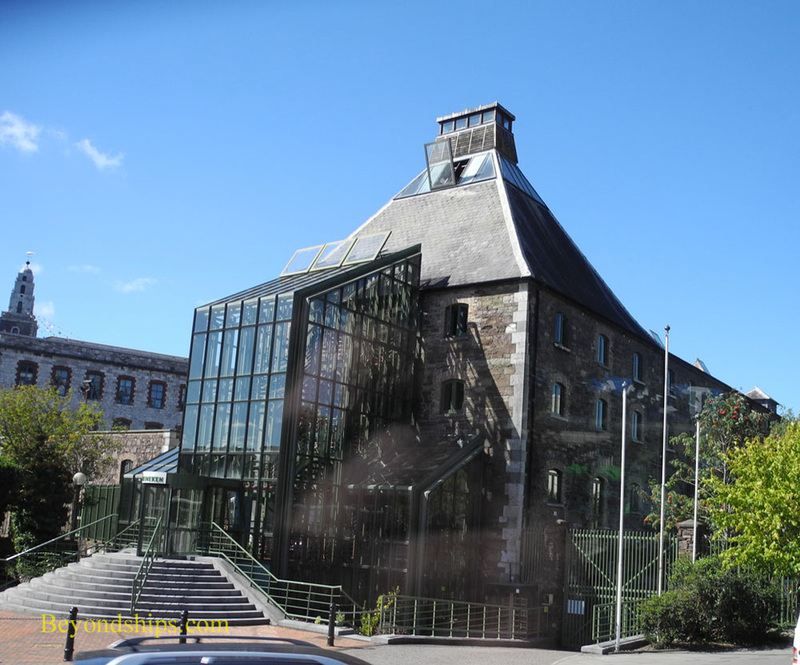 Above: The Murphy's Brewery, now owned by Heineken, is the second larger producer of stout in Ireland. 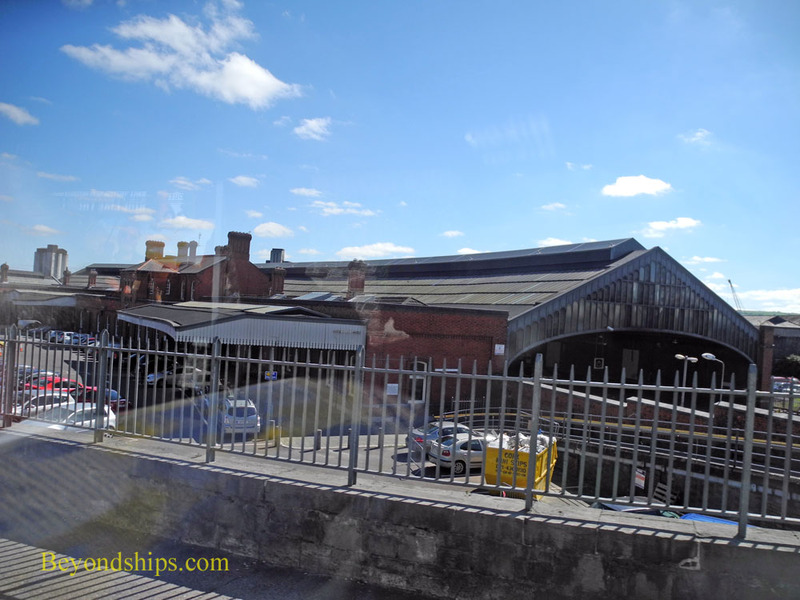 Below: The Kent Station is Cork's main railway station. There are, however, things to see and do in Cork City itself. For shoppers, there is St. Patrick's Street, Cork's main shopping district, and the English Market, which features culinary offerings. 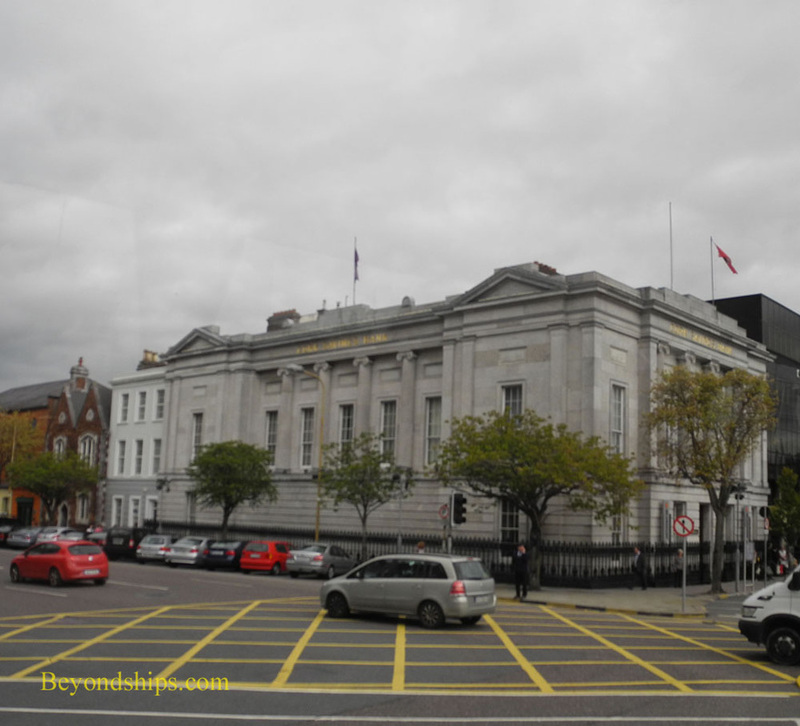 The Crawford Art Gallery attracts over 200,000 visitors a year with a collection of Irish and other European art. In addition, the city has an array of interesting buildings. 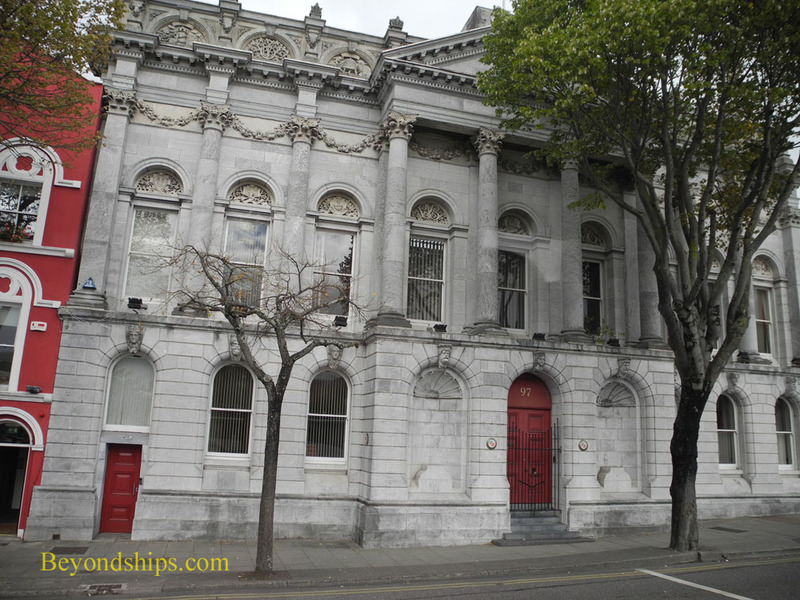 Cork has many architecturally-interesting, classically-inspired buildings. 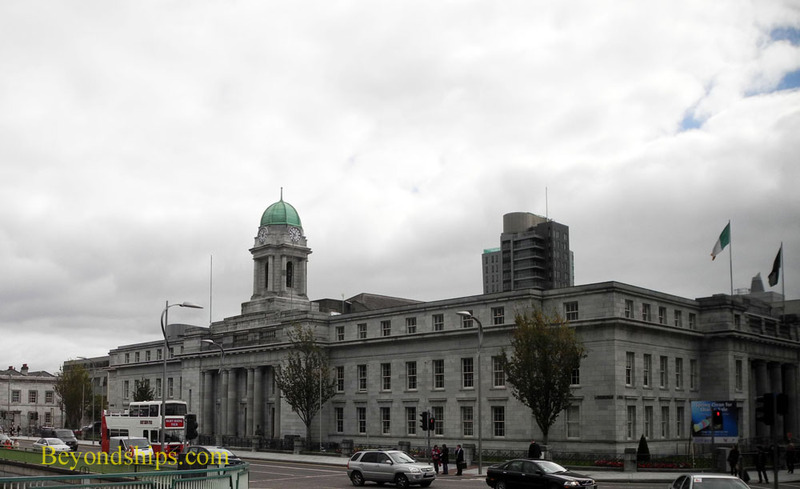 Above: Cork City Hall (1936) was built to replace the earlier city hall, which was burnt down by the Black and Tans during the Irish War of Independence. The British government paid for the replacement structure as a gesture of reconciliation. Below left: The Cork Savings Bank was the result of an architectural competition held in 1839. Below right: Nearby is the Thomas Crosbie Holdings Building 97 South Mall, which dates from 1865. 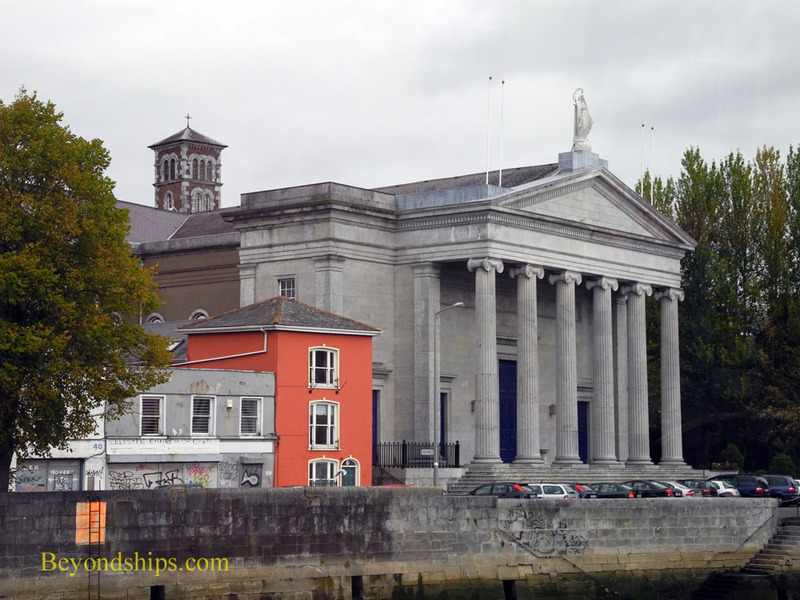 Cork also has a number of interesting churches. 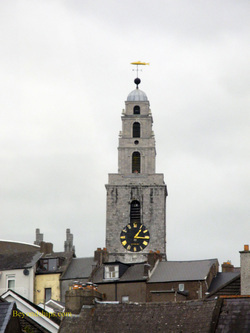 The tower of the Church of St. Anne in the Shandon district (left) has been called the symbol of the city. 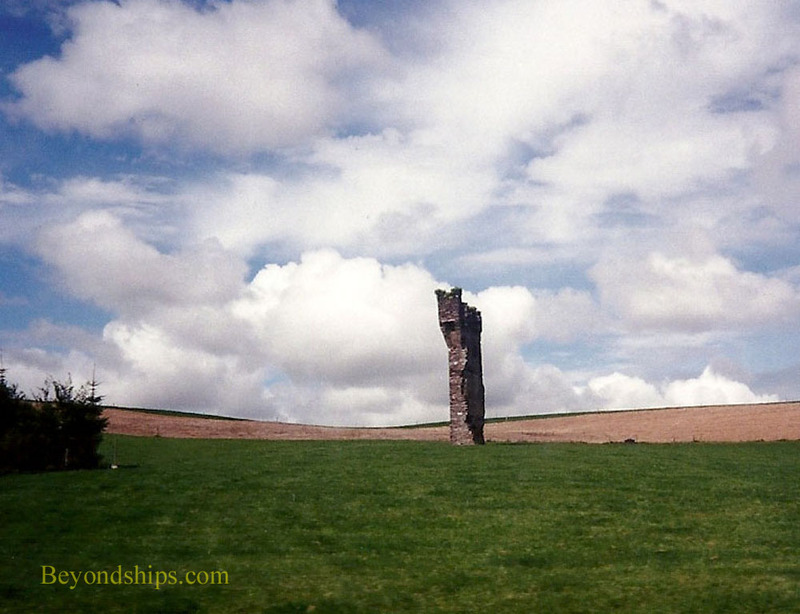 Built in 1722, two sides of the tower are red sandstone while the other two sides are white limestone. At the top of the tower is a weather vane consisting of an 11-foot long image of a salmon. The Church of St. Mary (below) was built in 1839. The architect donated his services for free even though he was not a Catholic. While the outside columns are ionic, the interior columns are Corinthian. The 14th century French statue of Our Lady of the Graces is said to have miraculous properties. 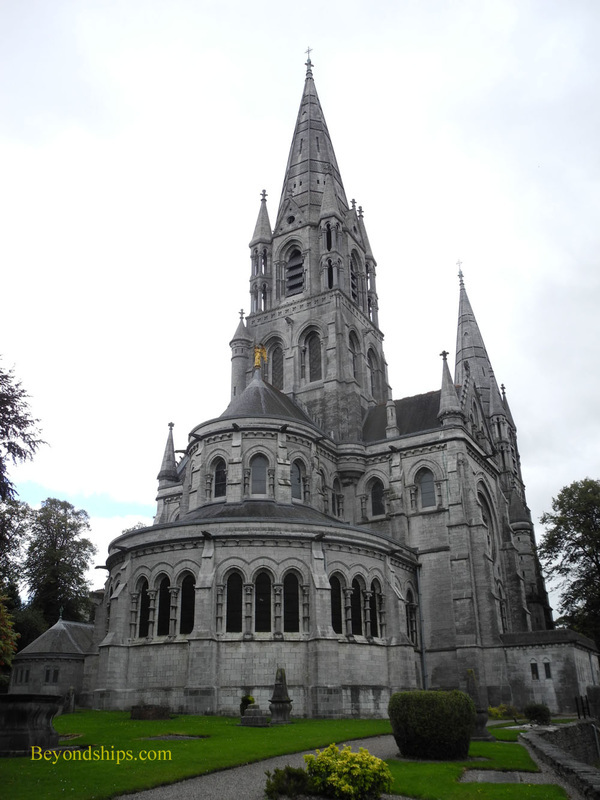 Saint Fin Barre's Cathedral (above) is built on the site of a seventh century monastery founded by Cork's patron saint, Saint Fin Barre. The cathedral, done in the French Gothic style, was begun in 1863. It is part of the Protestant Church of Ireland. Leaving the city, you are quickly in green countryside. 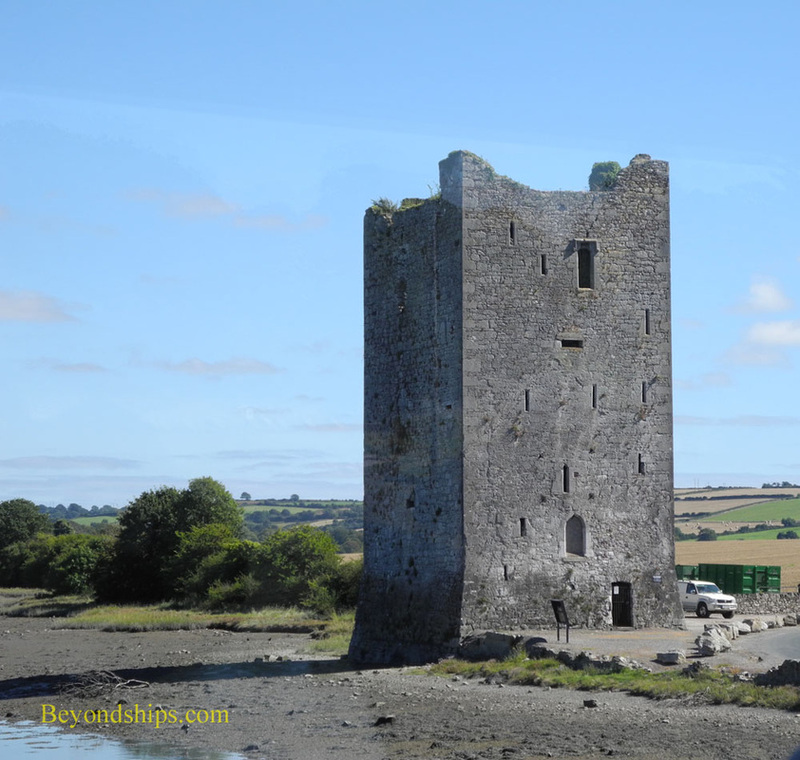 In the midst of fields or standing by a riverside are relics of the past such as Martello towers from the Napoleonic era (above right) and medieval ruins such as Belvelly Castle (below left). 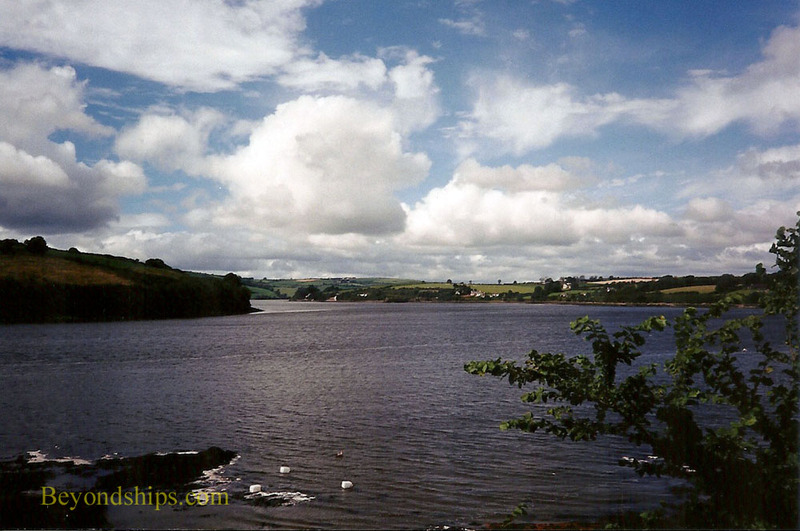 There are also charming small towns such as the seaside community of Kinsale with its restaurants, cafes, and yachting (below).